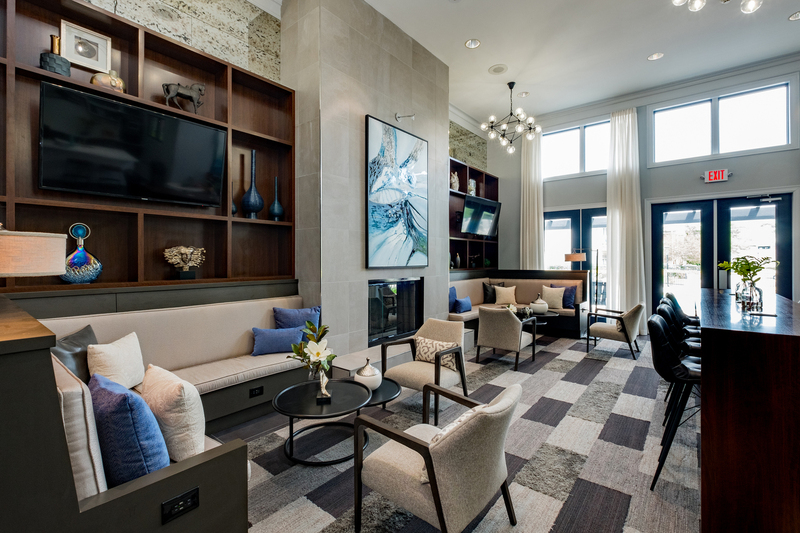 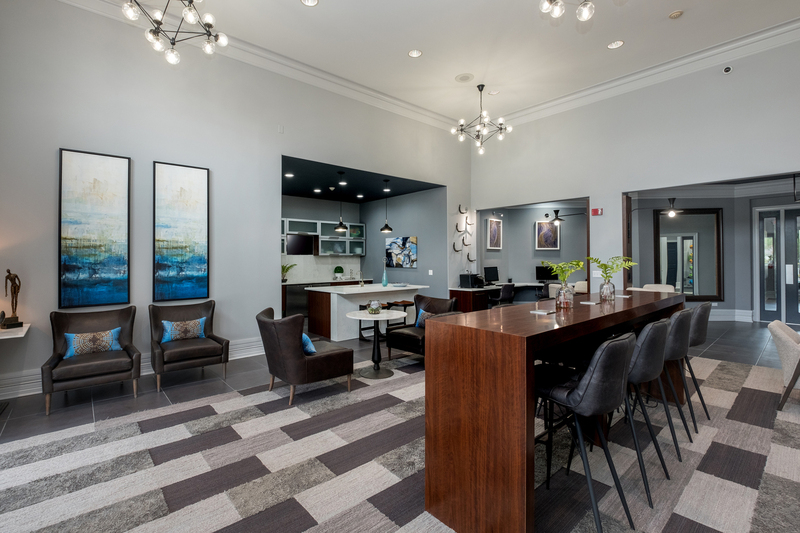 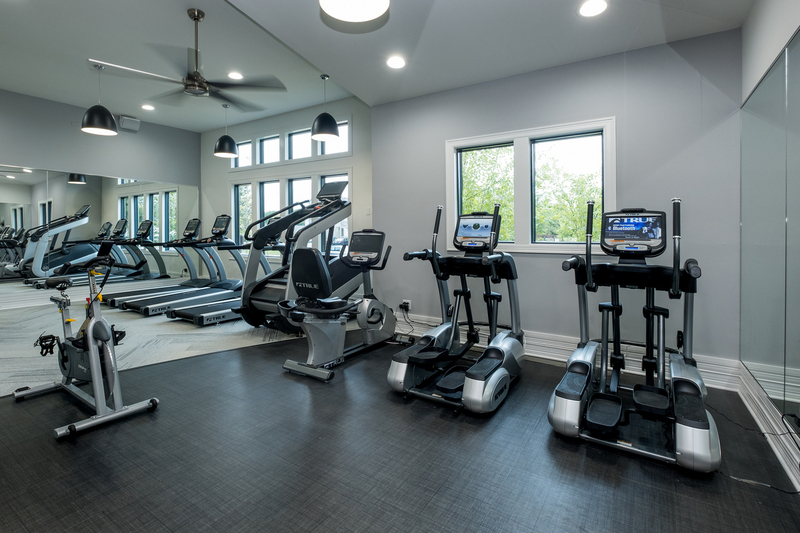 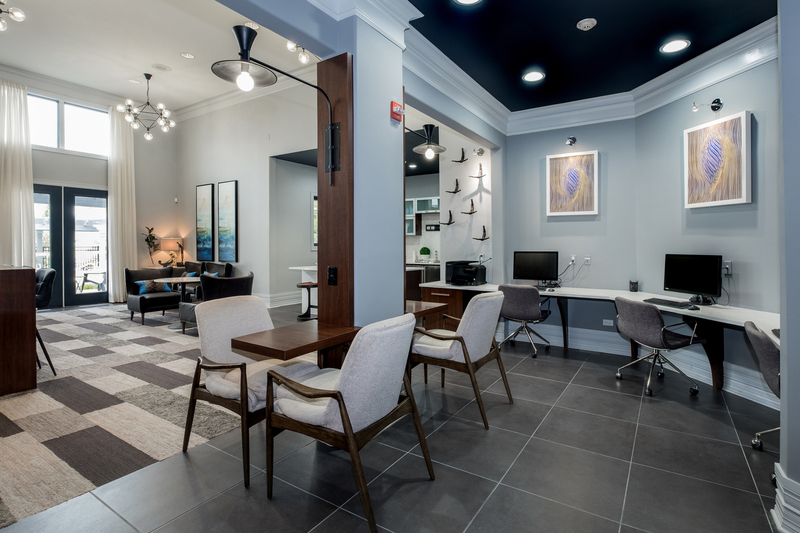 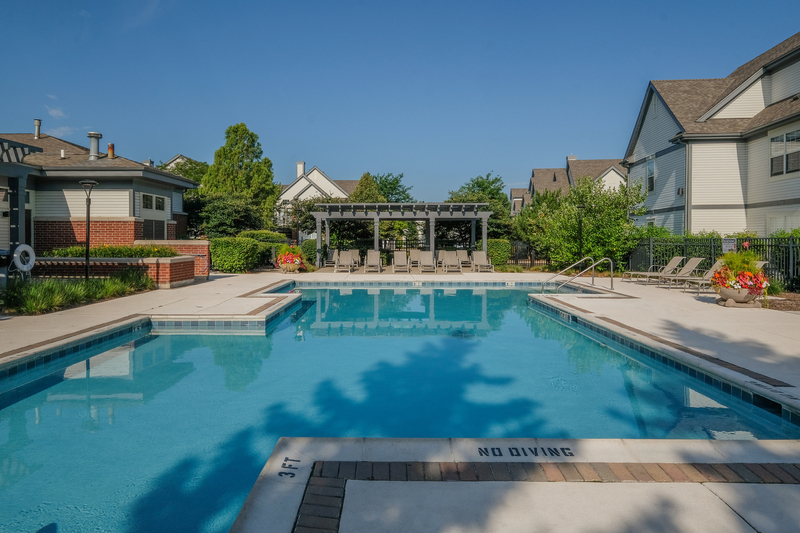 The Aventine at Oakhurst North’s recently renovated 1 and 2 bedroom apartments feature upscale condo-quality finishes within a fully maintained community. 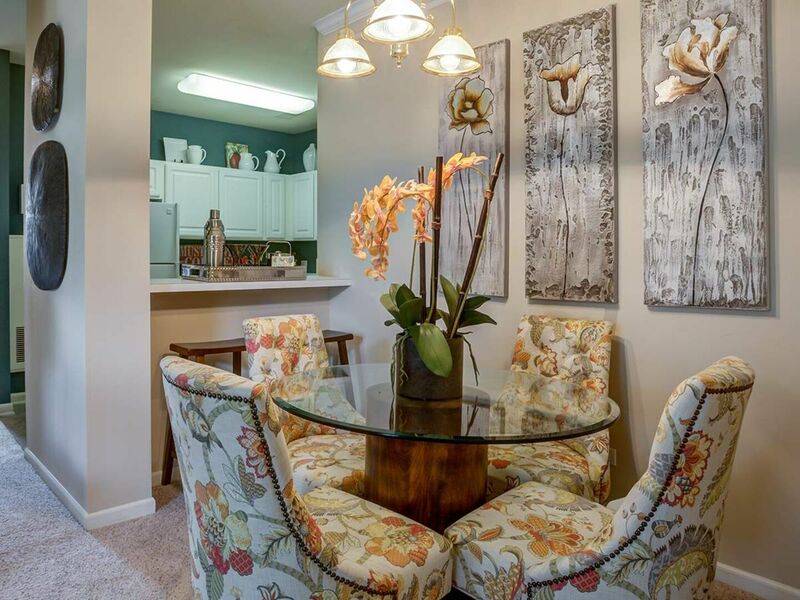 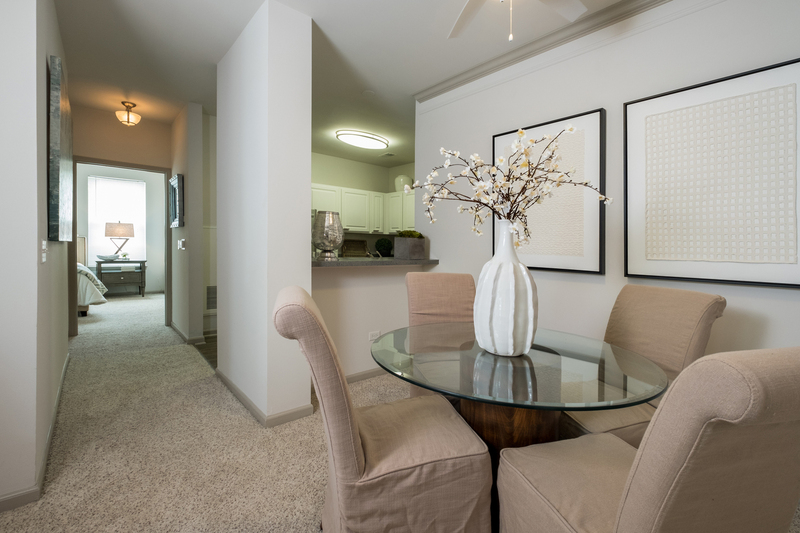 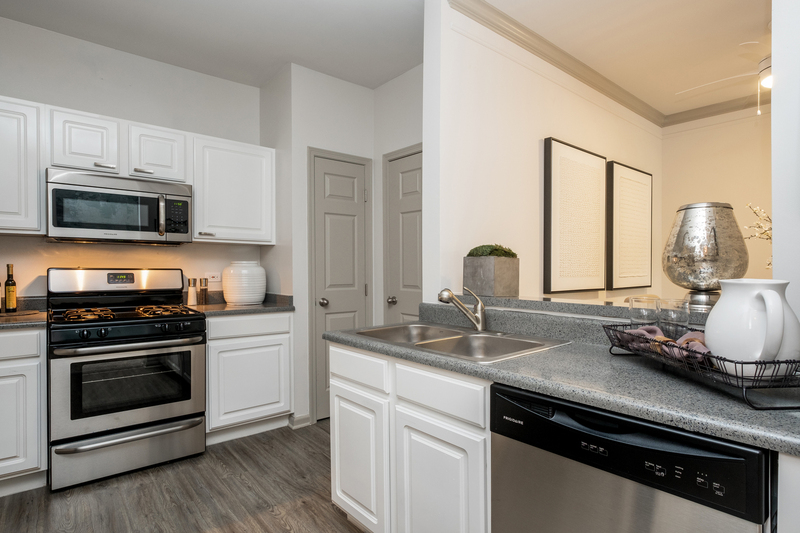 Each apartment is carefully laid out to optimize square footage whether you’re entertaining on the weekend or settling in for a quiet weeknight. 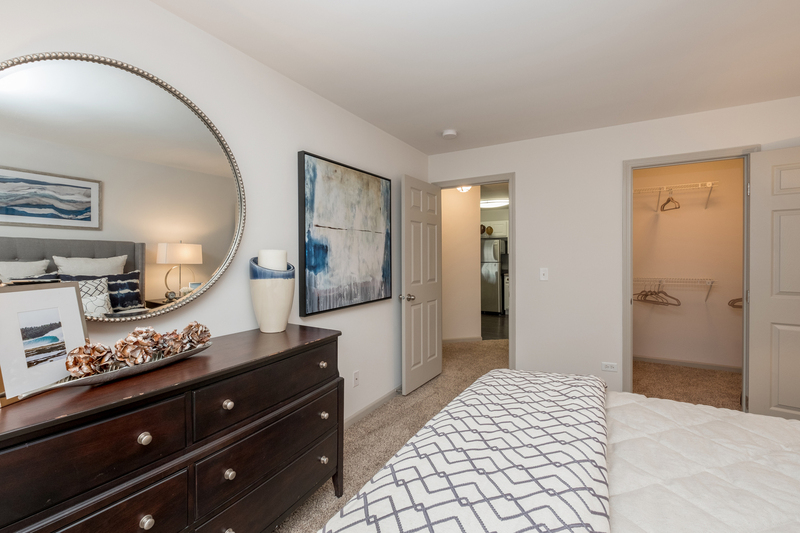 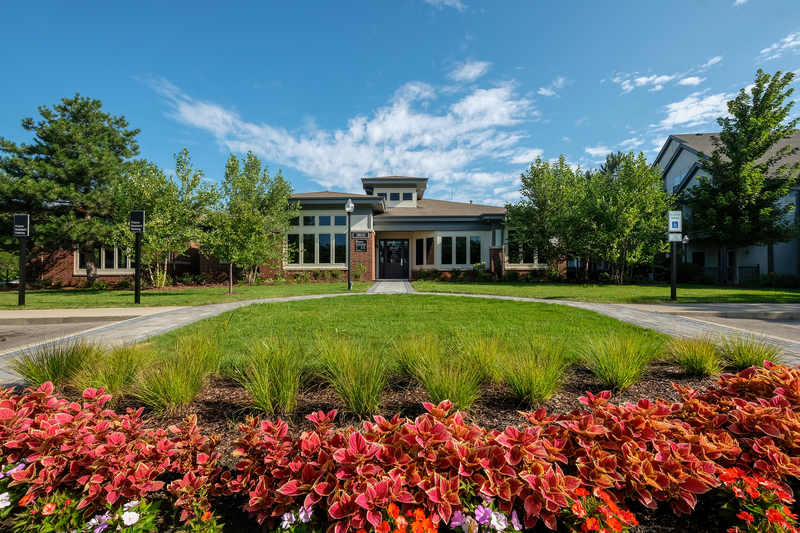 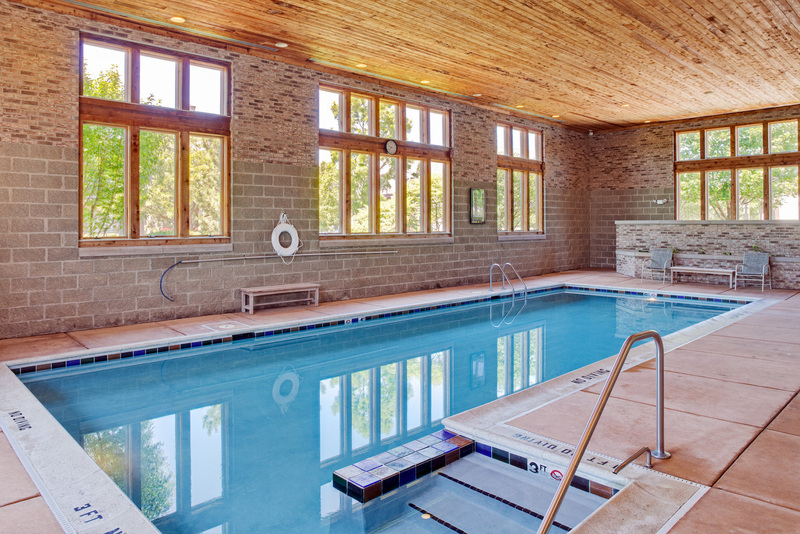 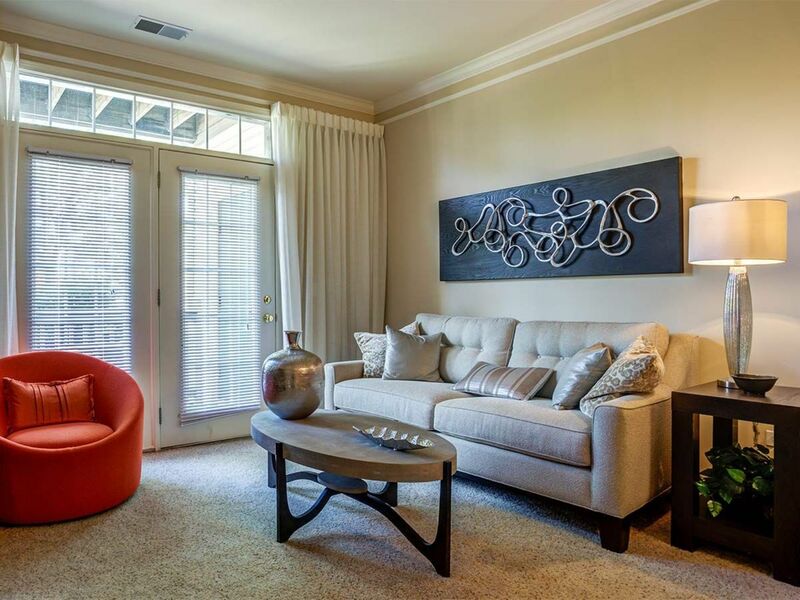 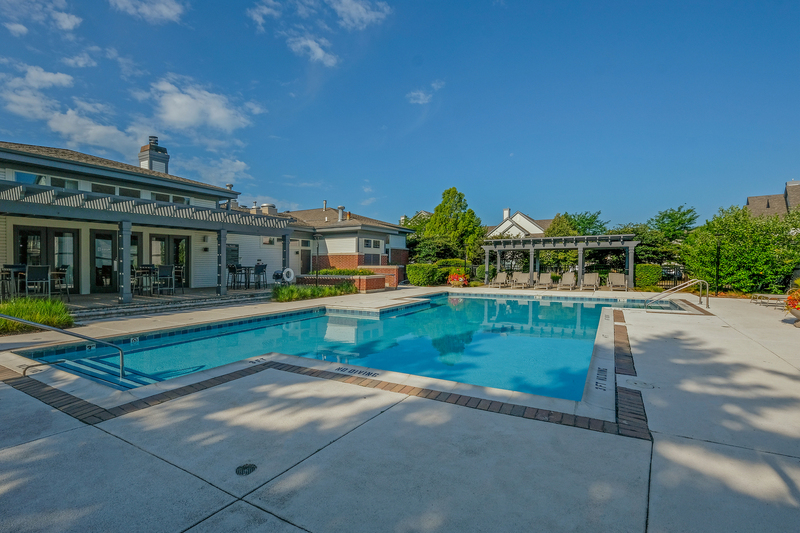 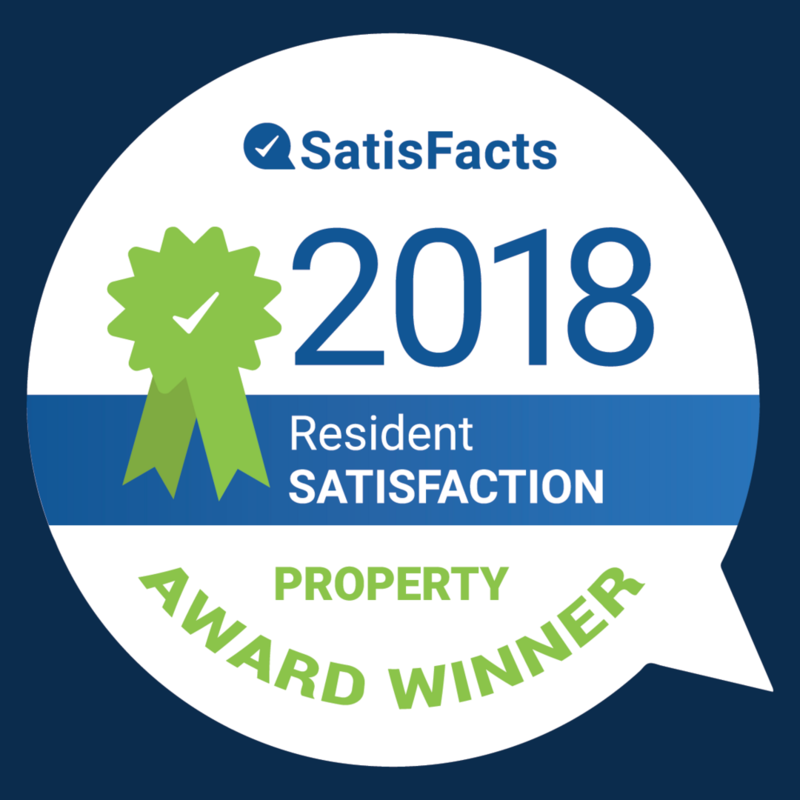 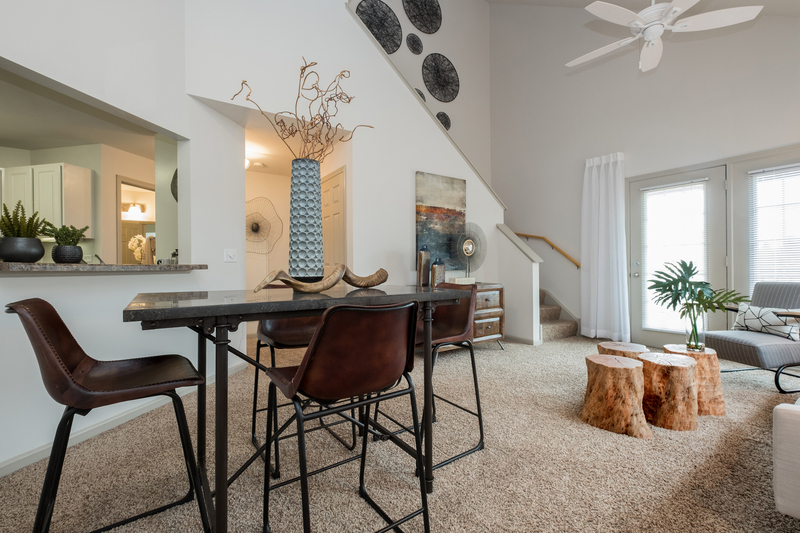 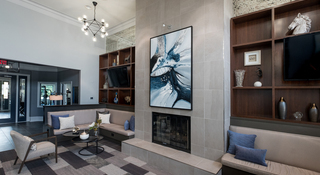 Enjoy an array of luxury interior amenities depending on floor plan, including gas log fireplaces, full-sized in-unit laundry, 9 foot or vaulted ceilings, coat closets near entryways, built-in desks and private home entrances. 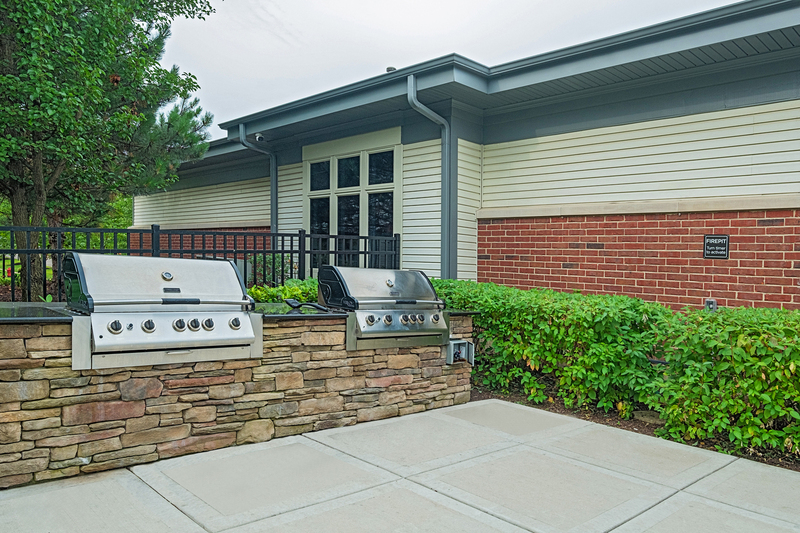 Private garages are also available at an additional cost as well. 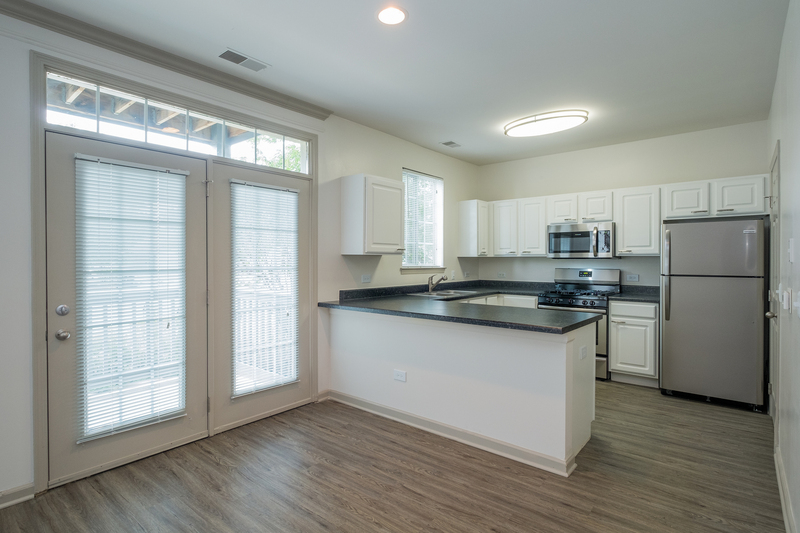 Each of the apartments at The Aventine features a pass-through kitchen with views either into the living room or a dedicated dining room. 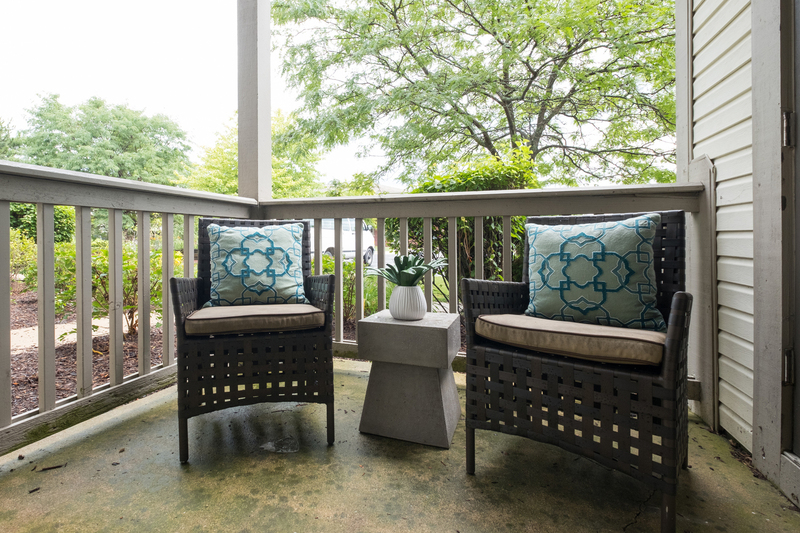 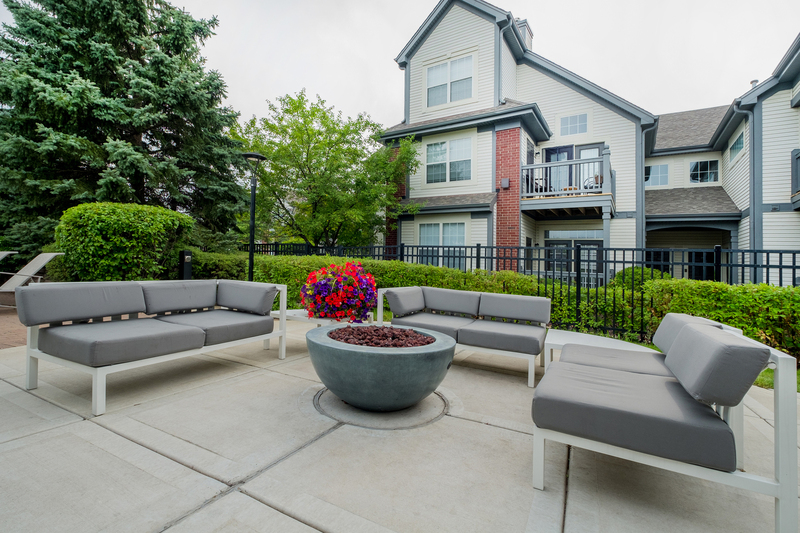 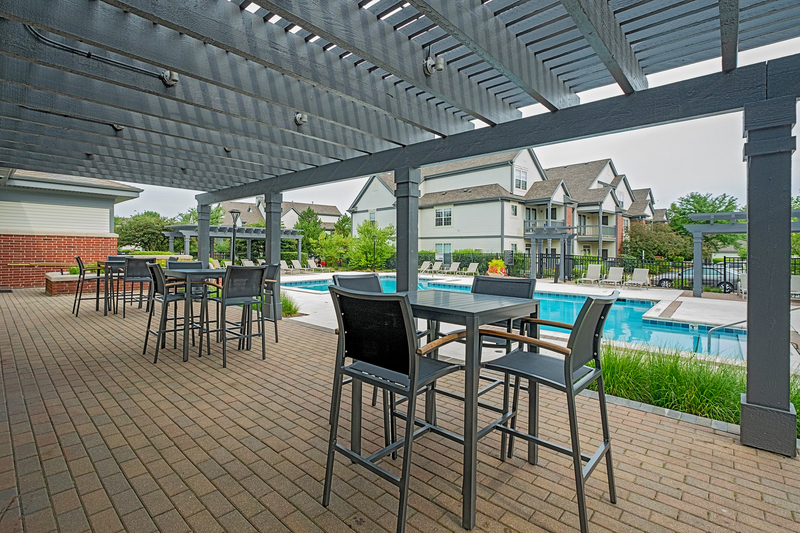 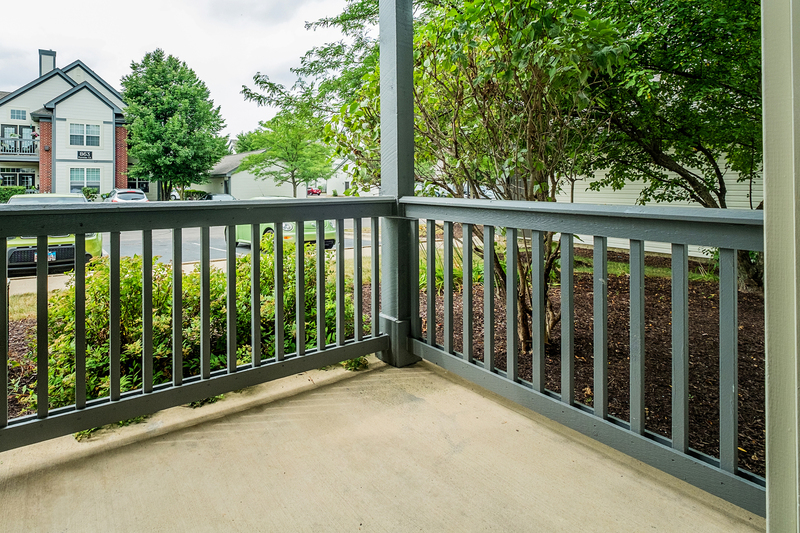 On warmer days, enjoy time outdoors on the oversized, private patio (off first-floor units) or balcony (on second-floor units). 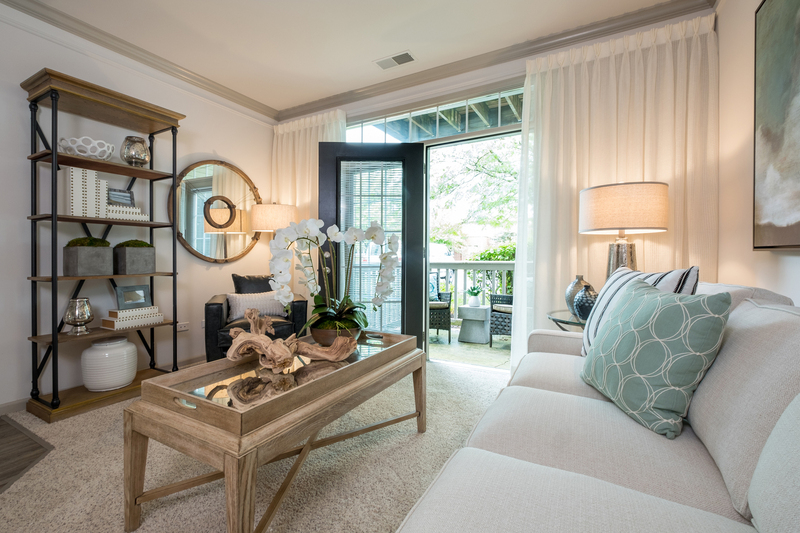 This additional space, which also has an additional storage closet, is accessed through French doors adjacent to the living room. 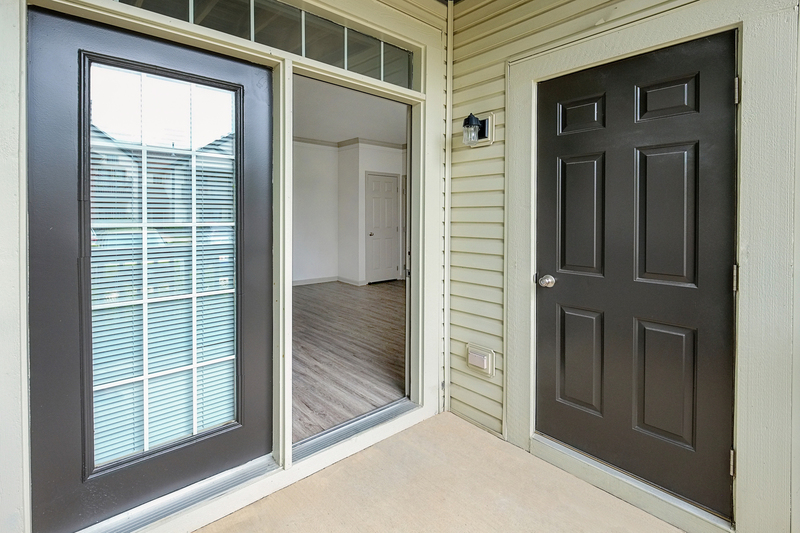 Choose to leave the doors open or shut in the warmer months in lieu of using the air conditioning. 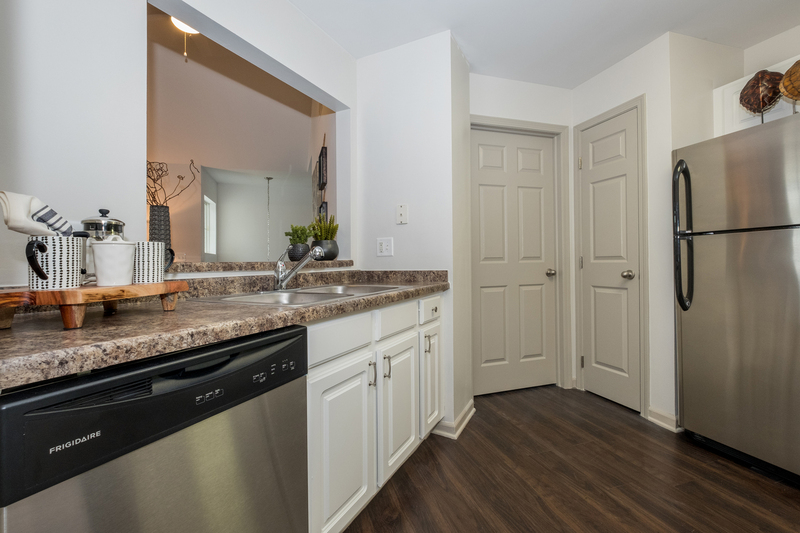 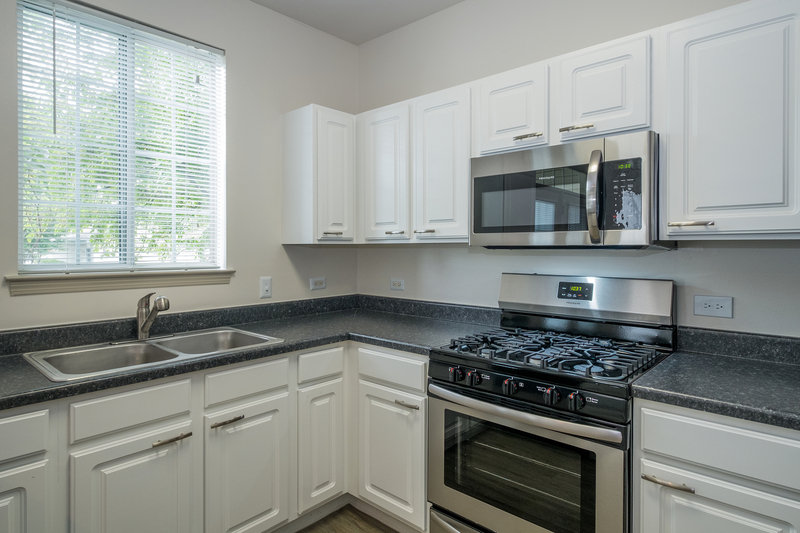 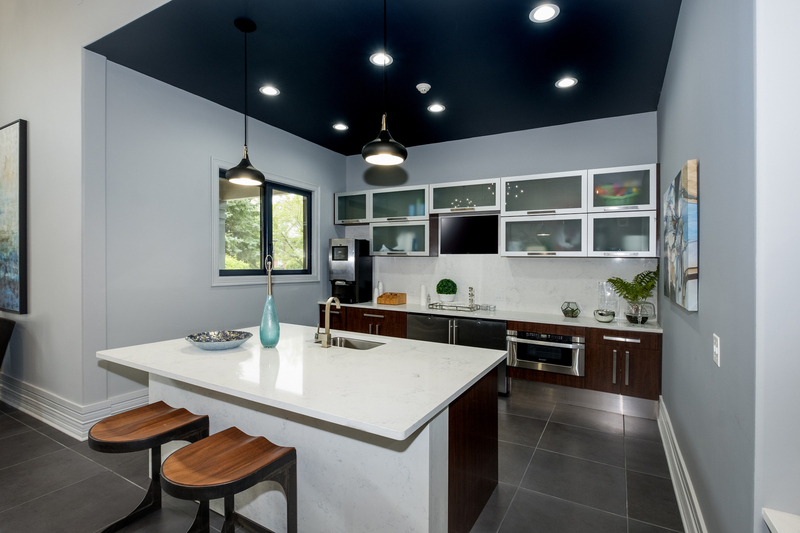 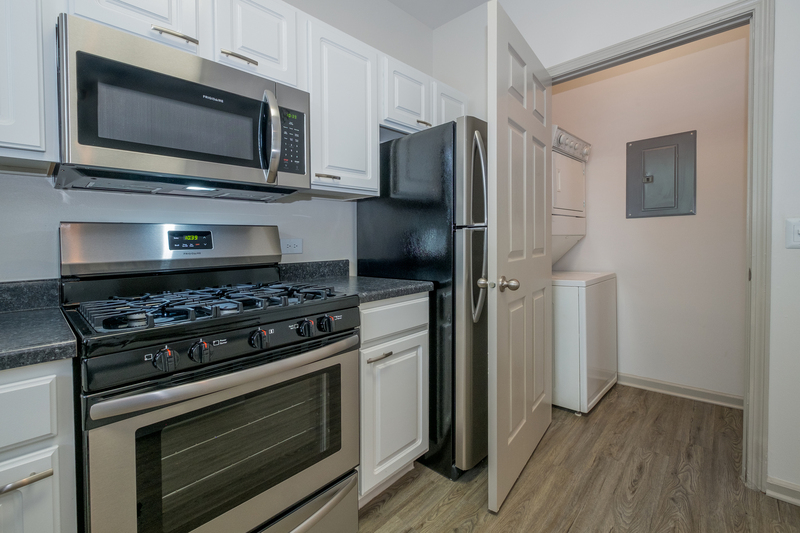 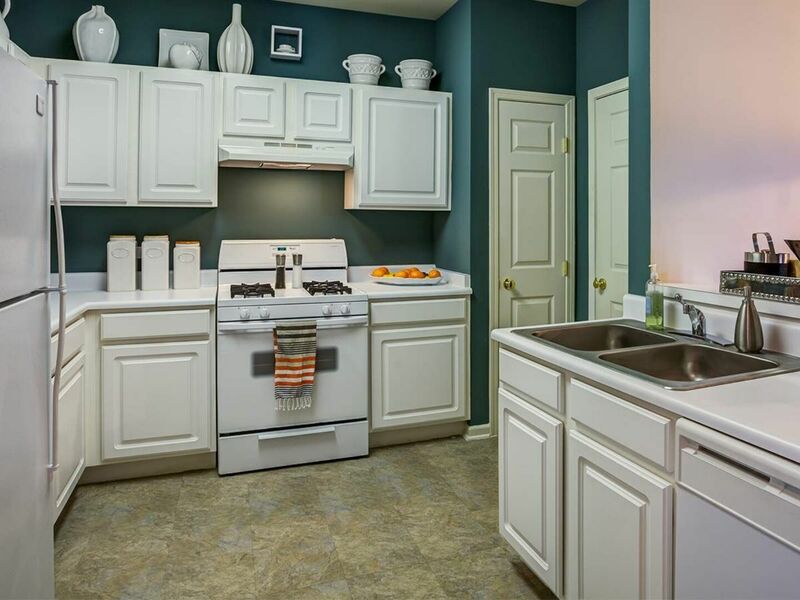 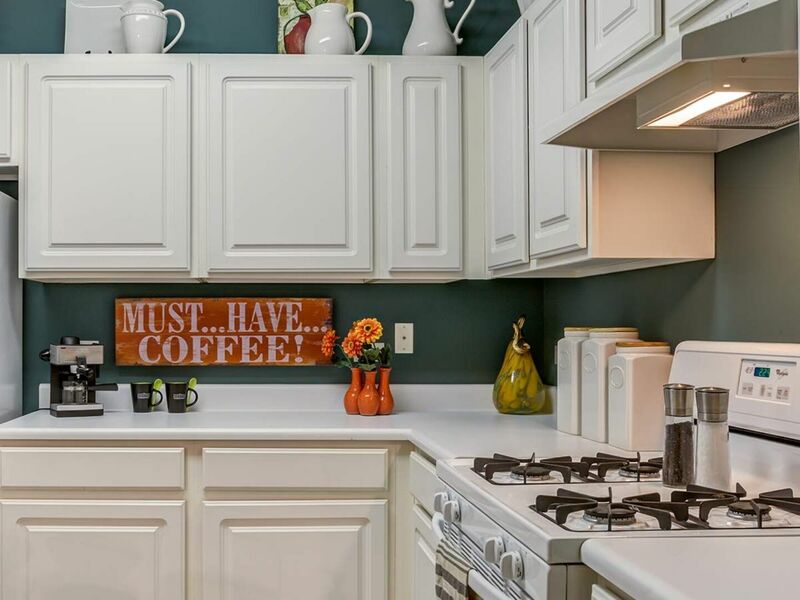 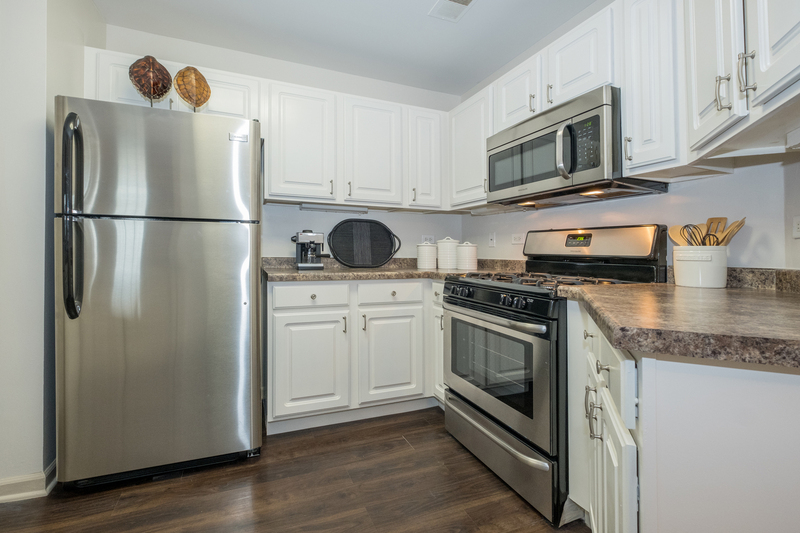 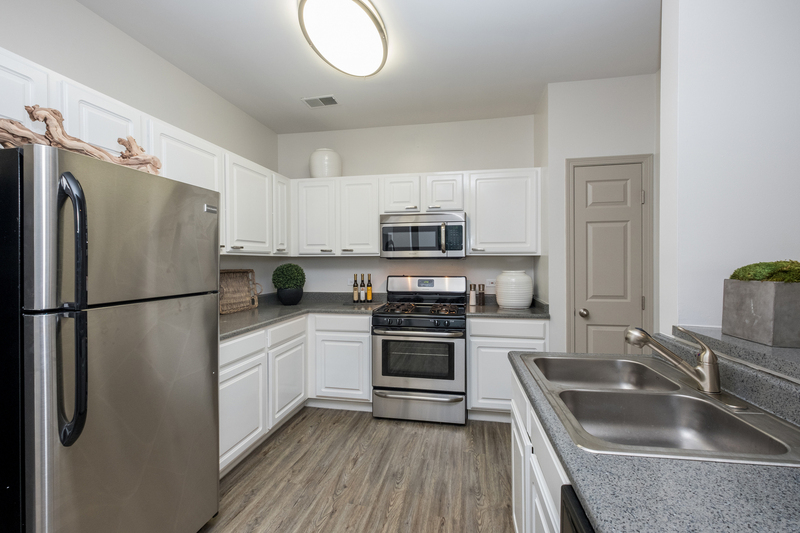 Kitchens also feature stainless steel appliances, stone-look countertops, faux-wood flooring, over-the-range microwaves and garbage disposals. 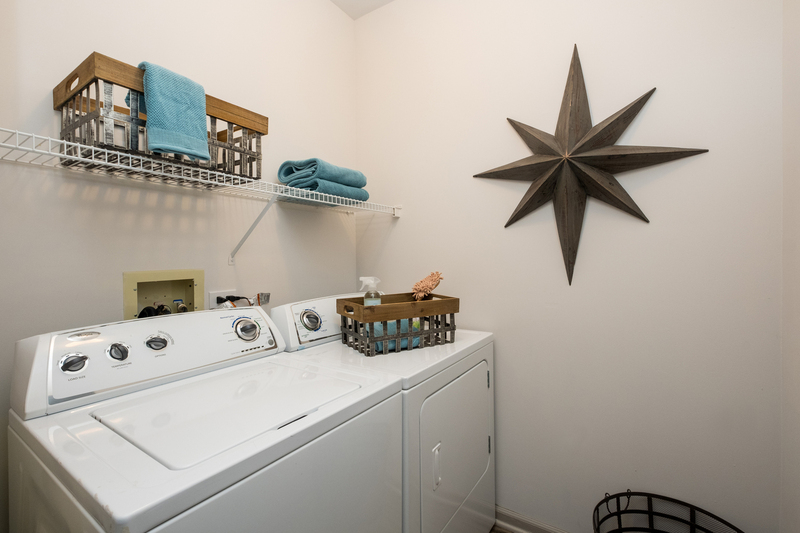 Full-sized laundry machines are located just off the kitchen in either a convenient utility closet or dedicated laundry room. 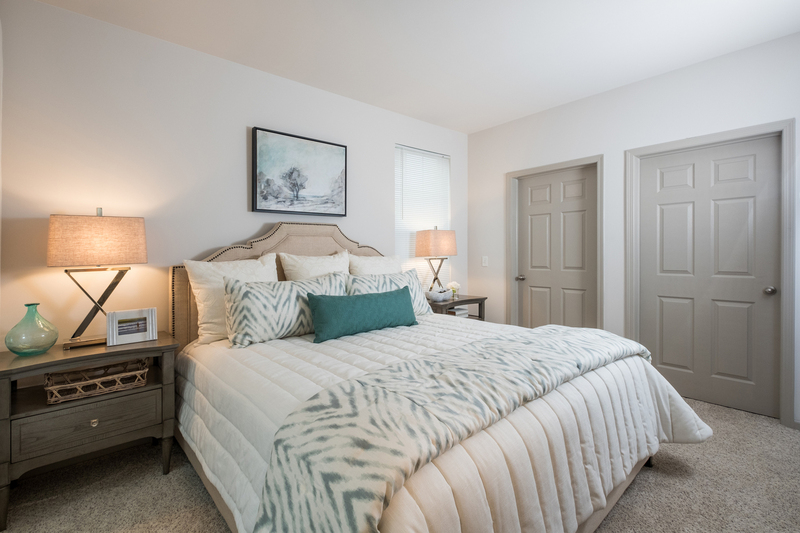 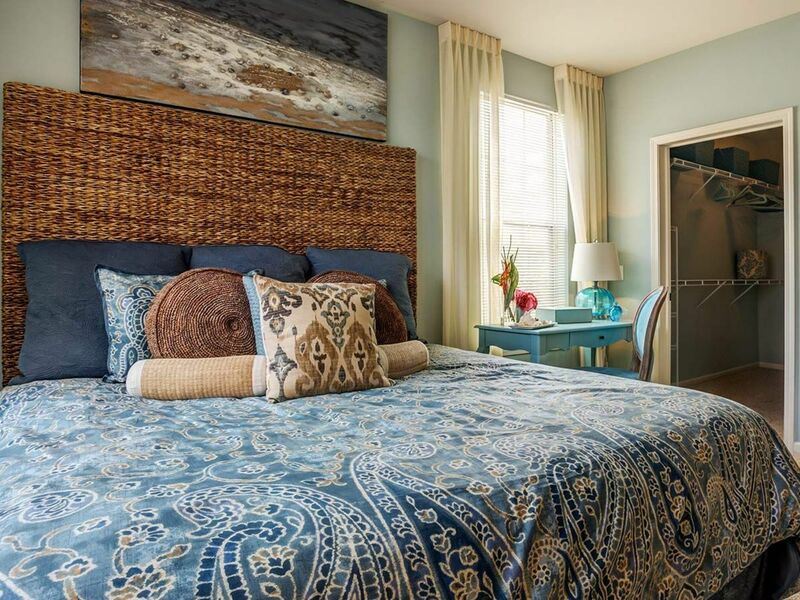 Every bedroom at The Aventine is large enough to accommodate a queen or even king-sized bed and additional furniture. 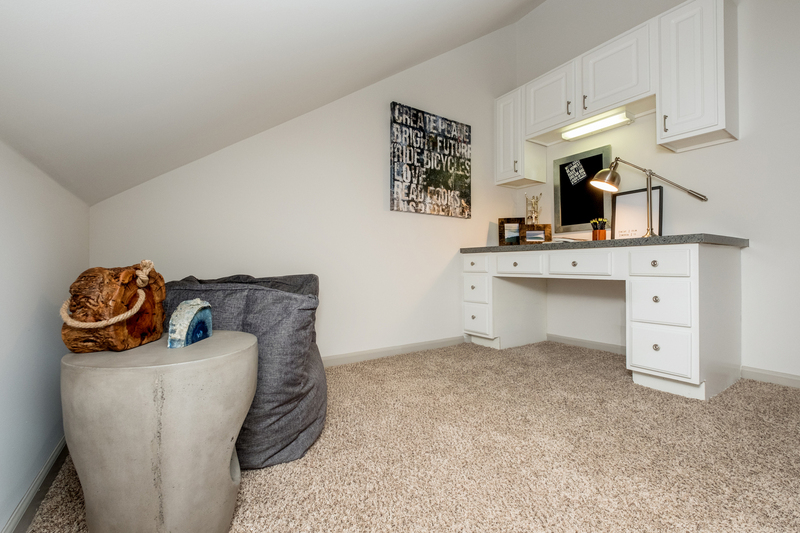 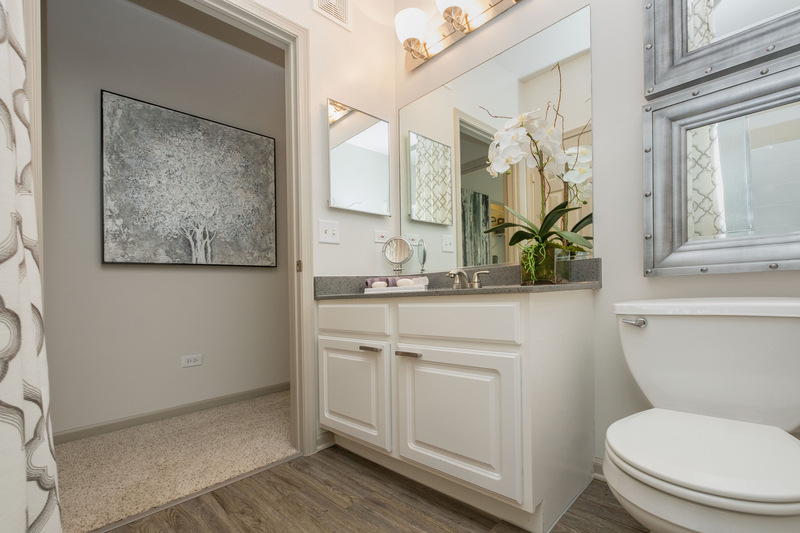 The two-bedroom one story and two-story floor plans feature full en-suite bathrooms with bathtubs. 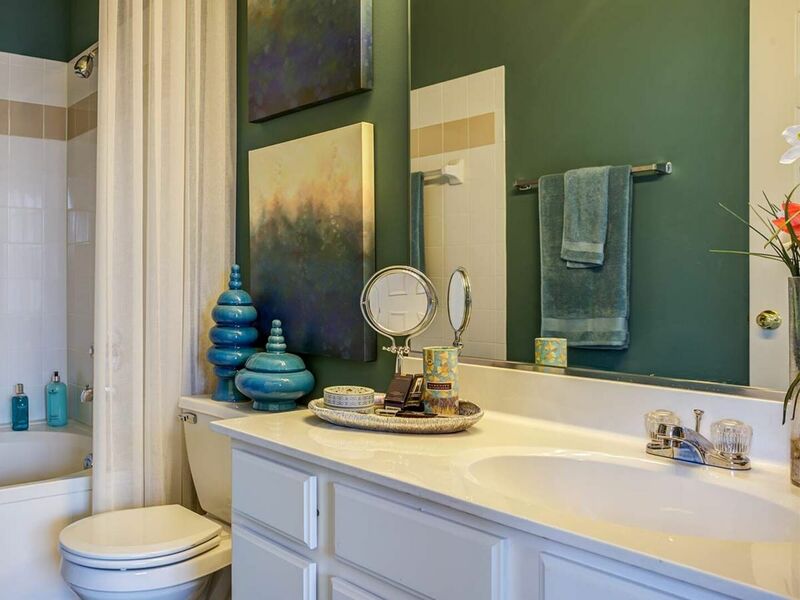 Each bathroom boasts extended vanities, faux-wood flooring, tile tub surrounds and oversized mirrors as well.